← You have a finite number of college weekends! Yesterday wasn’t too bad for a Tuesday. When my alarm went off at 6:02am, I negotiated with myself for a good fifteen minutes about going to my first class. I have never skipped a class, and got about 5 hours of sleep the night before. I was really tempted to play hookey, but of course I talked myself into getting up, turning on the coffee pot and jumping in the shower. There’s no turning back after that! That gift card was burning a hole in my pocket for all of 4 hours so I naturally stopped in for a pick-me-up before my last class of the day. 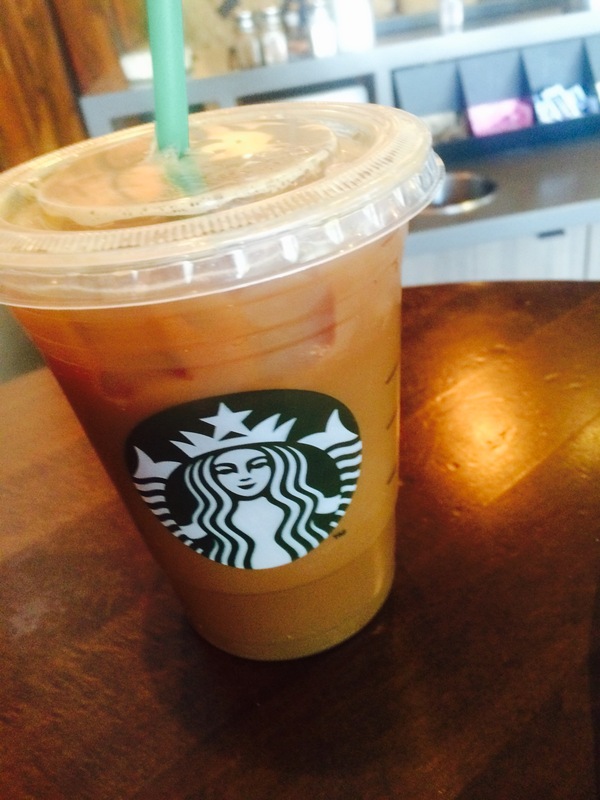 I used the caffeine in my iced americano to fuel a 7 mile run on the treadmill. New music actually made it fly by, and I’m loving that it is still light outside at 7:00pm. :) Makes me stall going back to my apartment for the evening. Kerri came up with the Pineapple Quinoa Stir Fry idea. As far as a recipe, we pretty much just “winged” it. I’m such a goof ball and the whole time we were making “Stir Fry” I was thinking “Fried Rice.” So I added a few eggs and cut up the vegetables very tiny. I didn’t realize until three days later, typing this post that “Stir Fry” and “Fried Rice” are not the same thing. (Insert monkey-with-hands-on-eyes emoji here). Regardless, the stir fry/fried rice hybrid was delicious and so I will just refer to it as “fried quinoa” from now on. 1. Bring 2 cups of water to a boil, add quinoa and cook like normal. 2. Cut out the “meat” of the pineapple halves; discard the hard center and keep the remaining juicy pineapple to add to your fried quinoa. 3. In a large skillet, saute the bell peppers, broccoli, onion, garlic, and mango. 4. Add in eggs and egg whites once vegetables are softened; after eggs are cooked through, add the quinoa to the egg and veggie mixture. 5. 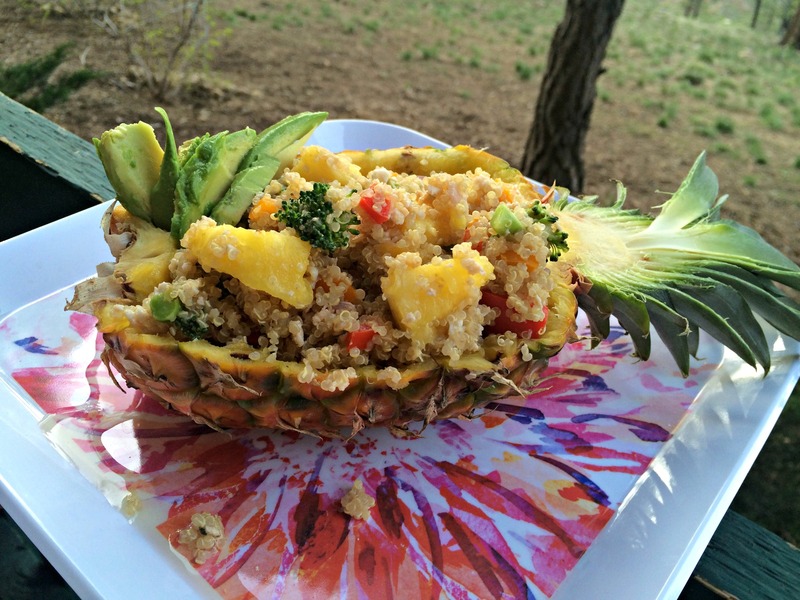 Fill the hollowed pineapple halves with the quinoa-veggie mixture and top with remaining pineapple pieces. We had avocado on the side. Today I have my last major exam for my senior capstone course, and once that’s over I hope to repeat yesterday’s long-ish run. Guess who made it into the workout playlist rotation this week…? 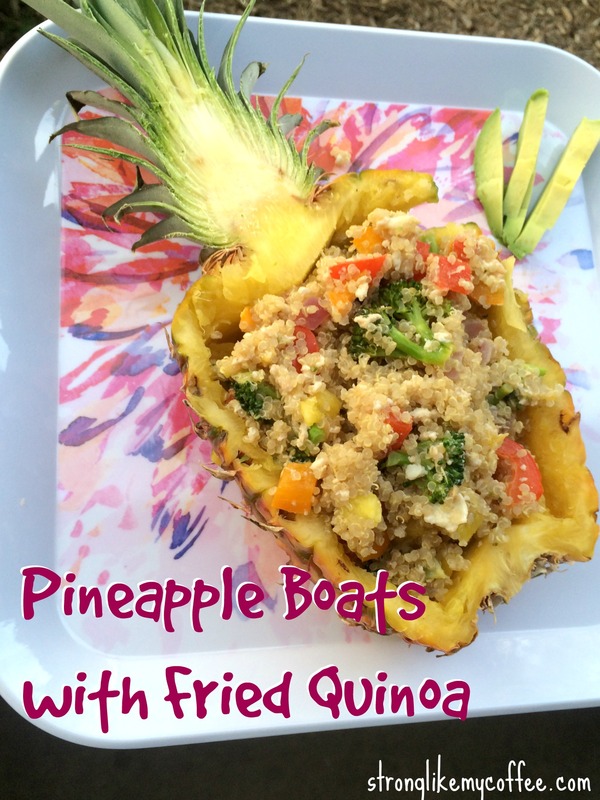 Posted on April 15, 2015, in Healthy Habits and tagged fried quinoa recipe, health and fitness, healthy college blog, healthy college girl, Healthy college student, healthy dinner recipe, healthy habits, pineapple boats recipe, stuffed pineapple. Bookmark the permalink. 2 Comments.